Green Juice Hacks: How to Make a Delicious Green Juice QUICKLY! If you want more energy – don’t forget, my FREE 7-Day Juice Challenge starts soon! I give you all of the recipes, the shopping list and the daily support and we go through the Challenge together! To have a fresh, alkaline juice every day can be a game-changer – it’s the most powerful habit I know. CLICK HERE to find out more and join! 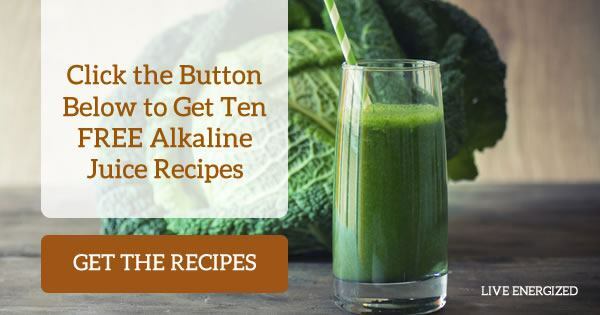 I’m always looking for ways to make getting alkaline and energized as easy and quick as possible for you. Having an Alkaline Green Juice Every Morning is the Most Simple & Powerful Thing You Can Do – And Here’s How to Do It Quickly! Not groundbreaking rocket science, but doing this will change your life. You will be getting 6-8 serves of fresh, green vegetables every day, delivered in a way that gives your body a maximum nutrient hit, before you’ve even left the house in the morning. Everything else that day becomes a bonus, and it sets you up for all-day, vibrant energy, mental clarity and vitality. But there is a reason why MOST people won’t EVER do this! 95% of people who want to get alkaline know that doing this will be huge, but they don’t do it consistently. Maybe you can relate…? I get it, and as humans, we all have those days where we can easily convince ourselves we don’t have time for stuff. I do it too! When I get super-busy (like now) I can often convince myself I don’t have time to go for a run. Which is BS. As if I didn’t have just 30 minutes at some point during my 16 waking hours! Of course I did. And for most people it can be the same for juicing. You’re in a rush, you woke up a little late, the kids need to be ready for school, you’ve got to get dressed, get everyone fed and out of the door. So the fleeting thought of getting out the juicer, washing the vegetables, chopping them up, juicing, cleaning up, packing away is…well, exactly that, a fleeting thought. You want to be juicing daily, it will change your life. So making it a habit, something you do on auto-pilot, and something you don’t compromise on (like cleaning your teeth, it’s a habit, you see it as important so you never skip it). Consistency: it has to be consistent, so in the first week or two pull out all the stops to make sure you do it. Focus on it, put a chart up on the wall you tick off each day, write a reminder as to why it’s so important to do and stick it on your bathroom mirror, set a health goal that you make juicing an integral part of and tell everyone you’re doing it.Get leverage. Specifically set your alarm clock 7 minutes early, so that you can’t have the excuse of not enough time. It might seem hard, but make the commitment to yourself that you are going to do it every day for a week, just to see. No pressure, if it’s not for you after that, that’s fine. But you are going to power through for seven days at all costs. Reward: set a reward for yourself (and your family if they’re helping with the workload!) for when you reach the end of each week. You will be getting the reward of how you feel and look, but it never hurts to set an extra treat as a reward too! Maybe it’s a shopping trip, massage, gadget, night out…whatever, set the reward and keep it front-and-centre to get you through any times when you’re on the verge of skipping a day. There are mixed opinions on how long it takes to form a new habit, but I think the rules are different with something like juicing, when the benefits are so noticeable and so fast!. You get addicted to it (in a good, healthy way), and you see and feel a difference so quickly that this habit can easily be formed within a week. 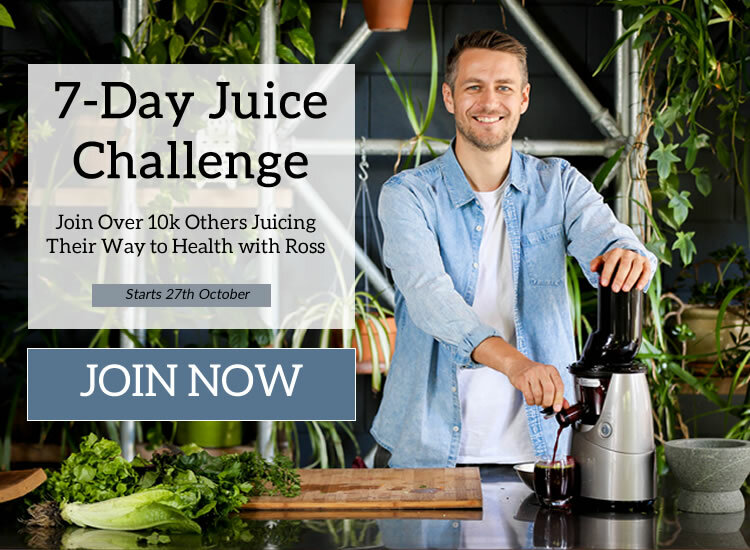 If you are keen to make this a lifetime habit – I am starting my annual 7-Day Juice Challenge on Saturday! Click here to join in – it’s totally free and I will be guiding you (along with 10k others!) to juice every day, for seven days, with recipes, guides, videos, shopping lists and more. It’s so much fun! Pre-washing all of your vegetables makes life in the morning a heck of a lot easier. It is an extra step that you don’t need to do repeatedly, every time you have a juice! By pre-washing your leaves, carrots, cucumbers, celery etc. you will get it all done at once and shave about 3-4 minutes off your total juice preparation time. For the non-leaf ingredients, you just need to pat them down and make sure they’re not packed too tightly down into the fridge. For the leaves (such as spinach and the herbs) you need to be a little careful not to leave them in a condition where they will wilt and brown too fast. What I recommend for washing leaves is to wash them all as soon as you get home from the shops, and place them into an airtight plastic tub, lined with a paper towel. To keep the moisture from making the leaves go wet and off, place one paper towel in the bottom of the tub, and then another on top before putting the lid on. If you have loads of greens, you can also place one as a middle layer too. This makes a big difference too. I know it’s not necessarily something you can do right now today, if you already have a regular juicer, but cost permitting, I strongly recommend you upgrade to a cold-press masticating juicer as soon as possible. The whizzy, centrifuge juicers (the ones most common in the shops that are very noisy and spin very fast) are cheap, but they extract a LOT less goodness from the juice and are an absolute nightmare to clean. The masticating juicers, on the other hand, are quiet, efficient, get 60% more out of each thing you juice and are self cleaning to a degree. Now, that doesn’t mean it washes itself sat there on the bench. It means that while it’s juicing, it’s also doing 80% of the cleaning at the same time – which means when you’re finished, you just have to give it a quick rinse and you’re done. PLUS these cold-press juicers simply make nicer tasting, more flavoursome, richer juices than the whizzy, whirry centrifuge juicers. That’s the basic alkaline green juice and practically every green juice I make will contain 4 out of 5 of those ingredients. BUT, it’s important to mix it up and make your juice DELICIOUS! Generally speaking you do not want to juice fruit. It’s really not good for you. Juiced fruit provides your body with a concentrated hit of acid-forming sugar. And fructose, when consumed without fiber, is not well received by the body. It spikes your blood sugar, instigates big insulin release by the pancreas, causes inflammation and is just not necessary. If you find juices without fruit too difficult to begin with, and you find my suggestions below don’t cut it quite yet either – please limit fruit in your juice to 1/4 of an apple per person per serve. Please don’t make the type of juices I see on most sites, which call themselves a green juice, but are really half a pineapple, 2 apples, an orange, 2 pears and 1 stalk of kale. That is NOT A GREEN DRINK! It’s a fruit juice. And will send you backwards. Ginger: it is now rare that I have a juice without ginger. It adds an incredible anti-inflammatory, anti-bacterial, immune-system-boosting kick that tastes great. Be careful not too add too much at once, add it little by little. And if you’re hoping your kids will have some of your juice, be aware the ginger makes it fiery! Mint: so underrated as a flavour, but when you’re having a juice with all of those greens like above, it can really mix it up. When you get into a run of juicing daily, it’s easy to get lazy and just have the same old juice every day – so the simple act of adding a sprig of mint into the juicer (especially with the ginger) can really mix it up! Beetroot & Carrot: I know this is hardly revolutionary, but I’m including here because if you’re new to juicing, these two subtly sweet veggies can do the job of sweetening up instead of falling back on fruit. Together they’re also an antioxidant powerhouse! Coconut Water: oh yes….OH YES….coconut water is an awesome way to naturally sweeten and add a different flavour dimension. This is almost a must-have fixture in our house at the moment in both juices and smoothies. As an added tip – once you’ve finished juicing, pour the coconut water through the juicer to swish it out and get any remaining juice from the juicer. Makes it easier to clean and gets you more juice! Basil & Coriander: these two herbs, used alone or together add such a nice taste. They’re more on the savoury side, but they can really give your juice an Asian slant – especially if used with the coconut too! Turmeric: natures powerhouse spice – the most potent anti-inflammatory going, and it gives juices such a depth of flavour. If you find you like the taste of turmeric, you’d do well to include it every day, such is it’s power. Note: you will get yellow fingers if you use it every day, and it can easily stain your kitchen bench so keep it on the chopping board! Almond Milk: this was quite the discovery – topping up your juice with almond milk (especially home made, which you can also make with your cold-press juicer, delicious) because it’s much thicker and creamier if you make it at home. But even shop bought almond milk turns an alkaline green juice almost into a smoothie. It totally changes the taste and texture, which is important when you’re having juice every day – variety is key! Lemons & Limes: and finally, a simple but often overlooked one. You don’t even need to put these through the juicer, but I find just squeezing a little in at the end makes the world of difference. And for a lot of people that do initially struggle with the taste of juiced vegetables, this little addition makes all the difference. Such is the importance of consistency when starting a new habit, I do advocate that you have the odd backup. Store bought juices aren’t really an option, but I do recommend on during the first two weeks, to make extra juice on days 2, 6, 10 and 12. 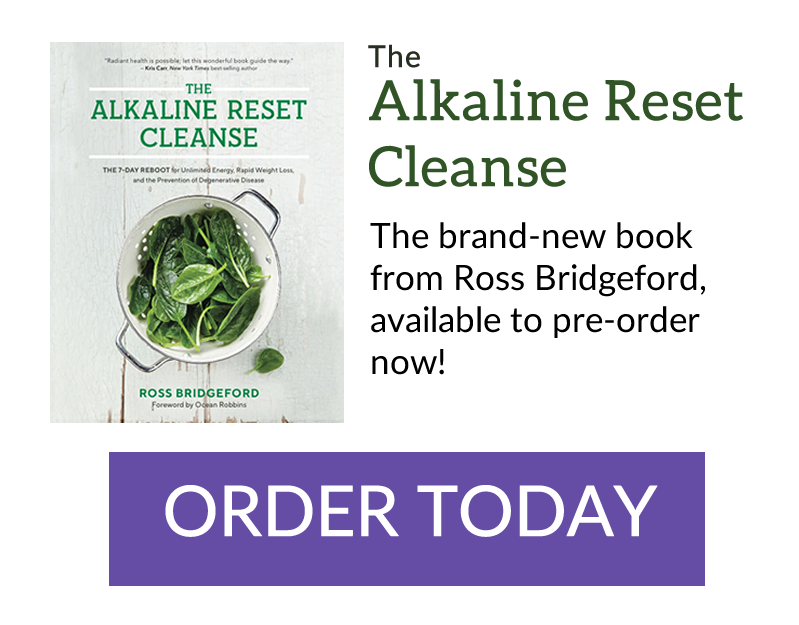 I have found, in my years of experience of coaching people on the alkaline diet, that days 3, 7, 11 and 13 are those that you’re most likely to find a reason that you don’t have time to juice. SO on days 2, 6, 10 and 12 make an extra serve. Put a couple of ice cubes in it, put it in an airtight container and put it in the fridge. This juice will keep for 2-3 days. IMPORTANT: the nutrient content of this juice will be less than a fresh juice. The huge benefit you get from those absolute fresh enzymes and nutrients is incredible – but this does dissipate over time. But I’d WAY rather you have one of those than miss a day or give up. And again, in my experience of teaching this stuff since 2004, I’ve found that when you miss one milestone, your chances of giving up completely shoot right up. So make the extra and have the backup. If you don’t need it – the worst case scenario is on days 2, 6, 10 and 12 you’ll have TWO juices (yep, about 14 serves of vegetables!). Juicing Tip #6: 2nd Back Up – Supplements! Another backup option is to have a high quality green drink powder available. I recommend using these daily whether you juice or not – but it’s especially important as a safety net on those days you are not able to make a fresh juice. A green drink is a powdered supplement, usually made of a combination of grasses, vegetables, fruits, algae and other foods. The combinations range from just one food (wheatgrass, barley grass, spirulina etc.) through to dozens (some contain over 50 different ingredients). I recommend looking for something in-between – about 8-10 ingredients is a good sweet spot. That way you’re not spreading the nutrient spectrum per serve to wide and thin. I list at the bottom of this guide my suggestions on how to find a quality supplement – and with green drinks it’s paramount that you source an organic, non-GMO blend. There are no excuses on that one. A perfect blend in a green drink hits all of my ‘Triple A’ goals: alkaline; antioxidant rich and anti-inflammatory. This is why I personally use Organifi Green Juice right now – it has strong alkaline (wheatgrass etc. ), antioxidant (beets etc.) and anti-inflammatory (turmeric) ingredients, and tastes awesome. And of course it ticks all the boxes in terms of quality, organic, non-GMO. I really felt the difference when I started using it. To help make that habit, with those awesome flavours, I have put together a Juice Recipe Starter Pack for you! It contains ten delicious, varied juice recipes – from starter (sweeter) through to hard-core greenies (kale-tactic! ), and you can get that now by clicking here or on the handsome picture below. I’ll also email you some goodies to help make the juice habit even easier. Plus I’m already working on my next juicing guide, which is a lot more how-to, benefits, which juicer, which ingredients for which goal etc – type of guide and I’ll let you know as soon as that’s ready. If You Can Make This a Habit It Will Change Your Life Forever! Everyone who makes juicing part of their daily life agrees – it is incredible the difference it makes. And adding Just 2 or 3 of these tips will help make this a daily ritual for you, and the best part is, the more you do it, the more you’ll want to. You will get addicted to the feeling it gives you, and the way you look in the mirror…and the way your clothes fit! So let’s get juicing and make life AWESOME! p.s. if you have any juice-habit tips of your own, share them in the comments below! In the spring season use fresh nettle leaves, or young pine needles. I have been a fan of juicing for health for a few decades now, ever since a recipe for a juice (from John Lusts, ‘Drink Your Troubles Away,’ to consume while enduring a migraine headache was the thing needed to have it abated. I have a personal concern. I know that cucumbers have some incredible attributes, however, I avoid them like the plague on a personal level due to the way they disturb my stomach, and can even lead to me vomiting. If I don’t add them to the juice, will I be affecting the objective of adding them to the particular recipes? I don’t juice but I do “blitz” the greens. And feel far better on my daily does of greens combined with Tumeric & ginger. My day now starts with your Fantastic ginger,Tumeric & lemon tea. It really is a top start to every day. Great to hear from you – hope you’re well! What a brilliant start to the day you have 🙂 Glad I’ve been able to help! I’m not a member of your ABC camp, however I always watch and follow your videos and articles on your website and email, there awesome!!! My question is about fruits , According to Dr. Robert Morse ND ( please check his youtube channel ) , that fructose from fruit is a simple sugar that does “not ” need ” insulin “to be transported to our system for energy , its the sugar we are suppose to eat , Humans design to be fruitarians’. , but why are you saying fruit its not good for you. or your limiting your fruit intake ? energy ( vibrational ) comparing to vegetable and meat . Please advice, I’m in limbo. Just wondering if you have a method of using the ” waste” from juicing which seems so extravagant and puts me off doing it – tho did it for your Reset Cleanse. Posted this already but don’t seem to have had a reply. Definitely jump in and give suggestions too if you have any?! Thanks for the great tips Ross. I love the juices. Although I have made juices for quite some time I always added one fruit. Have made 2 of your juice recipes without fruit over the last few days and am pleasantly surprised. Really enjoying them. Your tips will be a great help on those days I “think” I don’t have the time to make juice. I have a Breville centrifuge juicer I bought just over a year ago when I started juicing and the pulp is quite wet so I definitely will be purchasing a masticating machine in the hopefully near future. That’s so awesome to hear Joyce – removing the fruit will really level up the benefit you’re getting! Thanks for the tips! The part that takes a lot of time for me is scrubbing my veggies, I scrub the carrots and ginger. Do you have any recommendations there? Or is it simply not necessary, or should I be peeling them instead? Scrubbing seems to take a while… I also use a regular blender then filter through a fine mesh strainer for now. I’m saving my dollars up for a juicer so I’ll keep in mind to get a self cleaning one! I have made a combo of your ‘Green Energy Machine’ and ‘Bone Builder’ smoothies for quite some time now and we call it ‘Green Drink’. I make 2 batches and freeze part of it, in 1 quart glass canning jars, for later use . For time sake, I don’t have to make it everyday. Do you think this is okay? It seems to work well. Love what you do and want to thank you. Thank you for the incredible tips . I would like know whether to use a juicer or blender . All My Best & so Thank~full for all the info you share & the *spirit* you share it with. Hi, what kind of probiotic have you tried? Is there any food that suits you? (usually, juices are easier to digest because they go straight through to the blood) do you have inflammation in digestive track? Ross, above all, I’ve become a juice addict, thanks to you. I started out with the Ninja. More like smoothies. I joined your 7 day juice challenge and was hooked. I felt better within a couple days. I then progressed to the Omega, which I thought was fab after the Ninja. I am now looking to graduate to one of the ones you recommend. I’ve been thru almost two cleanses now. I do cheat a little and have more juices than smoothies as I prefer the juices. I like to add lots of pepper or Ceyenne to my veg juices and at times, a little Himalayan pink salt. I truly look forward to them in the morning. I have a huge glass of water with a whole squeezed lemon upon awakening. I then have my ginger tumeric tea. Sometimes I add coconut milk but not often. I’ve grown to love the strong taste. If I’m home, I sip my juice throughout the next half to one hour and have a huge portion for later. The more I make juice the quicker it has become. I think it’s been about 5 months now, but whose counting. I usually pre make in the eve. The challenge for me is getting to market on cold days so I’m considering having my produce delivered. Thanks Ross, you’ve helped me change my life. P.S. I’ve been known to throw your name around in so called high places. Doctor and Surgeons office, no thank you, eye doctor and dental office too. Your becoming quite well known in my circle. Can’t thank you enough for doing all the past research and recipes for me. Hi Ross, I want to get anew juicer. You mentioned “cold press” can you suggest a juicer? Hurom or Kuvings – any of their models – they’re all AWESOME 🙂 I’ve been using these two brands for years, never had one break! Can you just stick the veg in the Nutri-Ninja with alkaline water? But it’s OK for you to do this to get started right away! I can’t get the 10 recipes. It is telling me the page has expired. I love all the information you give us. This was very helpful and motivating. Which cold-press juicers do you recommend? I recommend Hurom & Kuvings. I am new to juicing. Just brought a Horum juicer and my husband and I are already loving juicing from our abundant garden. My daughter introduced me to your website and suggested I try your Magnesium rich smoothie. The link she sent did not work. Where can I get the recipe? Really interested in your approach to the alkaline diet since I am battleing weight gain and inflammation.. Your website looks very interesting. Embarrassingly there was a typo in the title so I changed it but that broke the link in the emails! Hi, is it not ok to pre-chop your veg, then in the morning soak it in alkaline water before making juice? Yep you can definitely do this, it will speed things up heaps. You can also make 2x the juice and keep the 2nd serve for the next day – means you only need to make juices every second day. Often times I make extra juice and put it into individual serving size containers. Then if I know I will have a busy morning the next day, I just take one of the frozen juices out the morning before and let it thaw out in the refrigerator. Like always, shake well before drinking. I believe the frozen juices retain their nutrients better than letting the fresh juice sit in the frig for 2-3 days when you make it ahead of time. That’s just my take on it. Be well Be blessed !!!! !